Would you like to feel more in control of yourself and your work? To cope comfortably with any demands the day throws at you? Deal easily with situations without guilt or worry? If so, this is the book for you! Social work is a stimulating and exciting career - but it can also be frustrating and exhausting. It’s easy to get so caught up in the challenges of work that it becomes difficult to see the wood from the trees. If only you were able to step back. 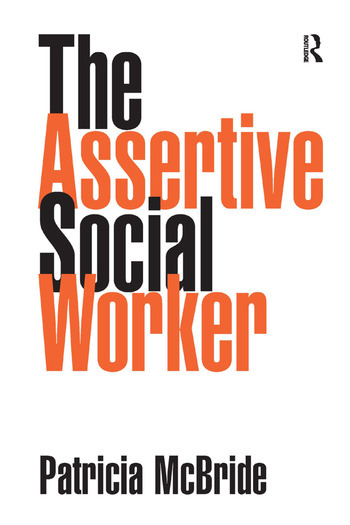 The Assertive Social Worker will provide you with the tools to do just that and, as a result, will empower you to do your job better. By treating assertiveness as a set of skills which can be learned, practised and refined, the author opens the door to a way of thinking and behaving which can turn your whole life around. Although assertiveness may not traditionally have been associated with social work or the broader range of caring professions, it is based upon respect for yourself and others - a clear parallel with the underlying principles of your chosen career. Contents: Introduction; Understanding assertive behaviour; Barriers to assertiveness and how to overcome them; Looking the part: Non-verbal communication; Establishing rapport; Your rights as a social worker and as an individual; Making requests; Attending and chairing meetings; Giving feedback; Learning from criticism; Saying 'No' and setting boundaries; Handling aggression; Negotiation skills; Handling passivity in others; Keeping calm and confidence-building; Postscript; Bibliography; Index.